The first reading challenge I ever did was Book Riot’s first annual Read Harder Challenge in 2015. 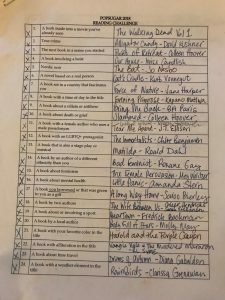 It sounded easy enough: read a book to fit into each of the 24 categories. Two books a month? Piece of cake. I approached my book shelves with the challenge list, read through categories, and came to a startling realization, my book shelves are not exactly diverse. Participating in reading challenges has been incredibly rewarding, and I wanted to share this with my fellow bibliophiles, which is why I created the While I Was Reading 2018 Challenge. I’ll give you a list of 12 categories. All you have to do is read, no other participation required! If you start and don’t finish, that’s okay. However if you do complete the challenge, you can email me your list to be entered to win an Amazon gift card at the end of 2019! 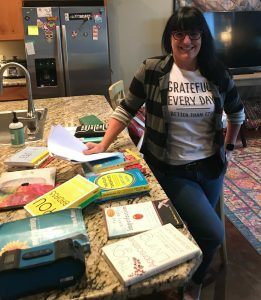 I had no idea what kind of response to expect when I launched my first challenge, so I’ve been wonderfully surprised by the outpouring of support and interest I received. I’m not quite sure the total number of participants yet, but I’ve received great feedback all year long, and four people have turned in their completed lists so far. Like any other inaugural undertaking, there were a few kinks so I’ve worked those out, and some made changes. 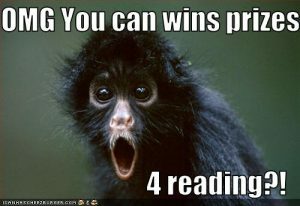 I’m not going to tell you that a reading challenge is 100% fun or easy. I’ve considered giving up on Read Harder a few times, the extremely specific categories can be incredibly challenging. And while completely a reading challenge can feel constricting or frustrating at times, I’ve found the pros far outweighs the cons. So often, people tell me “I want to read more.” It’s a great ambition but it isn’t going to get you very far. 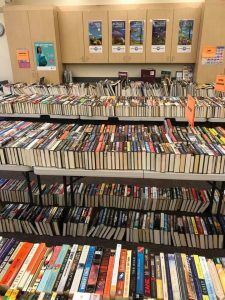 “More” is subjective – more books than what? More than one? More than you read last year? 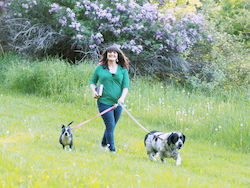 It took me a long time to figure out that I thrive with structure and guidance in any part of my life. In my reading life, this translates to signing up for challenges, belonging to book clubs, and keeping a reading journal. 2. Challenges broaden your worldview and knowledge. Sure I can read over 100 books in a year, but if left to my own devices I might not experience a ton of variety. More than once I’ve grumbled about a particular category and ended up loving the book I read, which I never would have chosen otherwise. Reading books in translation, and diverse authors has genuinely made me smarter and more compassionate. 3. Challenges encourage discussion and connection with fellow readers. Some of my closest friendships have developed through a shared love of reading. Often, discussing a book topic leads to conversations that wouldn’t have occurred otherwise. I’ve connected with other readers, writers, and bloggers through social media and book discussion threads. 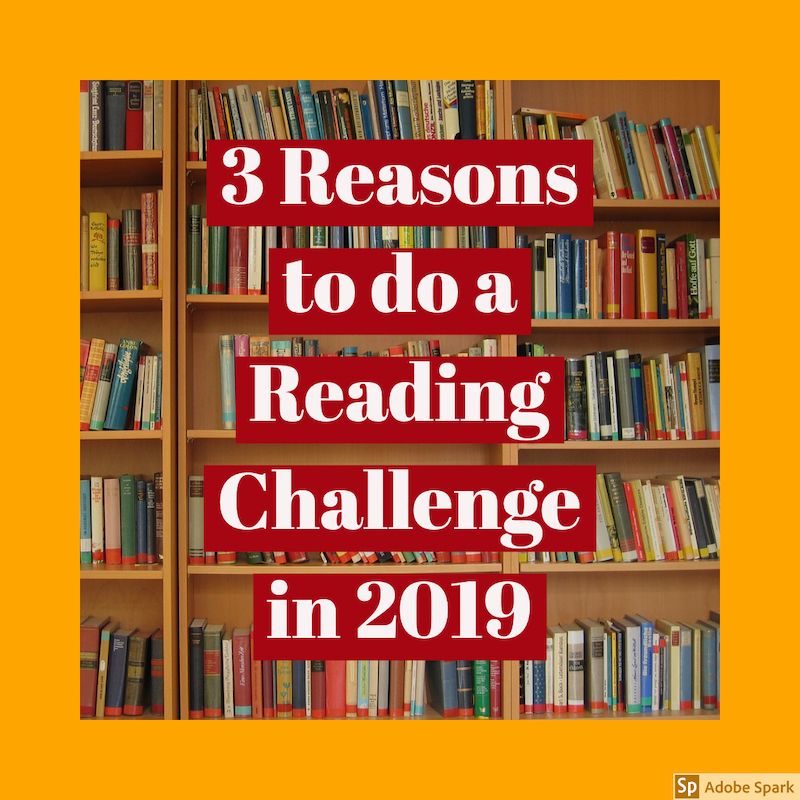 Have you done a reading challenge before? Are you considering one for 2019? Why or why not? I do hope you’ll join me in the While I Was Reading 2019 Challenge, stay tuned for my categories announcement on December 1st. I look forward to many great books and interesting discussions in the New Year!